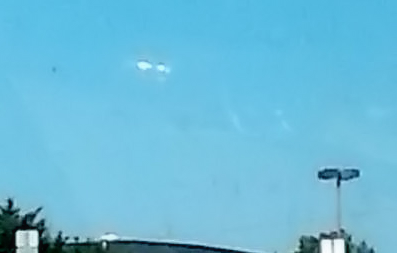 A man reportedly saw a UFO in the sky over Richfield. Chris Drye, 36, said he witnessed an unidentified flying object sometime between 2 p.m. and 3 p.m., June 14. At the time of the sighting, he was sitting inside his car outside the Dollar General in Richfield, he said. “I was on my phone just messing around then I saw a flash,” Drye said. Looking upward Drye saw the shimmer of metallic, akin to the dull side of aluminum foil, he said. The sighting, he added, was toward the west at an altitude of about 500 to 1,000 feet. He described the object as two pieces that seemingly came together as one cigar-like unit. “There was a flash of light and then it was gone,” Drye added. . . .